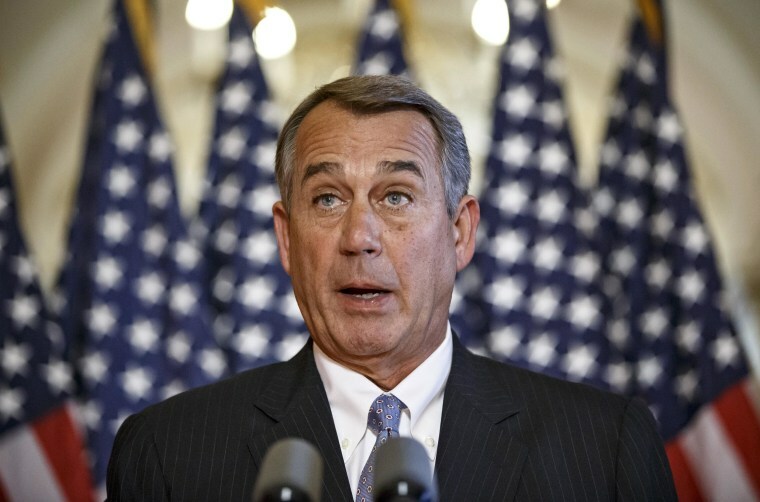 House Speaker John Boehner said Friday that the resignation of Veterans Affairs Secretary Eric Shinseki “really changes nothing” to fix systemic problems at the department, calling on President Barack Obama to take further action to address system-wide mismanagement. “One personnel change cannot be used as an excuse to paper over” problems at the VA, he told reporters after President Barack Obama accepted Shinseki’s resignation Friday morning. Boehner also called on Senate Democrats to pass legislation that makes it easier to fire high-level VA employees. That bill passed the House with broad bipartisan support last week, but its fate in the upper chamber remains uncertain. “The president needs to outline his vision for how do we get to the bottom of the problems at the VA, and how do we make sure that those veterans who are waiting for care get access to care sooner rather than later,” Boehner said. While many Republicans had called stridently for Shinseki’s ouster, Boehner said Thursday that he would continue to “reserve judgment” on the VA secretary. Other Republicans, eager to keep heat on Obama despite Shinseki’s departure, have echoed Boehner’s criticism of the president’s actions. In a statement, the Republican National Committee accused Obama of playing “musical chairs” with Shinseki’s replacement. Republican Sen. John McCain of Arizona said he "was disturbed that in his remarks, President Obama appeared to believe that the only real problem at the VA is a scheduling issue, which is a fundamental misreading of the breadth and depth of the situation there." Florida Sen. Marco Rubio, the sponsor of the Senate's version of the VA management legislation, called the VA's mismanagement "inexcusable." "Secretary Shinseki's resignation is just the first step in addressing the institutional neglect of veterans at the VA, but that alone won't solve the problem," he said. "The systemic mismanagement will continue unless we bring reform to the VA and hold all those who are responsible accountable."